By its nature, the work of a city’s Economic Development Department takes place behind the scenes. The fruit of its labors take time to ripen, but take a drive around The Colony and you’ll find signs of those efforts everywhere you go. Nebraska Furniture Mart and the Grandscape development have officially opened. Business is booming at Topgolf, and other recent additions to the business community include Rooms to Go and the new Marriott Courtyard under construction. 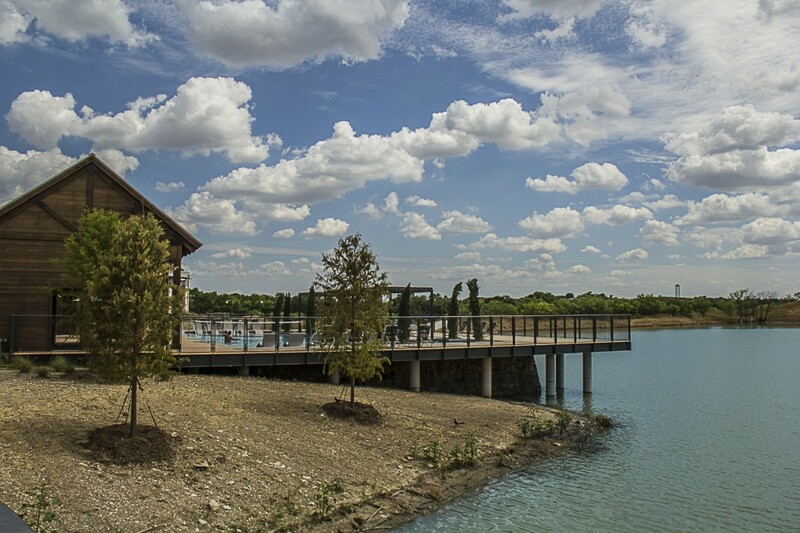 High-quality, master-planned communities like the Cascades and Austin Ranch are answering the demand for commercial and residential space with new phases – such as The Boat House at Austin Ranch with its cool swimming pool overlooking a large lake. The swimming pool at The Boat House in Austin Ranch overlooks a lake amenity. New restaurants on the way include Hard Eight BBQ, Cheddar’s, Mi Cocina, Panera Bread, and Raising Cane’s. Another exciting addition in Grandscape is the first Texas location of California-based Rock & Brews, the brainchild of KISS front men Gene Simmons and Paul Stanley. In an effort to promote additional economic development, enhance the local tax base, and create new jobs, representatives from the City of The Colony and Economic Development Corp. were among more than 1,000 public officials and 35,000 retail real estate professionals who traveled to Las Vegas last month to attend RECon, the global convention sponsored by the International Council of Shopping Centers (ICSC). The three-day event featured educational sessions on retail and economic development issues, and more than 1 million square-feet of exhibit space showcasing leading retailers, developers, leasing agents, brokers, public sector professionals, and industry product and service providers. Members of The Colony Economic Development team at RECon2015. The Colony EDC Director Keri Samford said the conference is an invaluable networking opportunity where she can showcase her city in front of a global audience. According to ICSC, approximately 50 percent of all retail real estate industry deals are conceived of or consummated at RECon. According to EDC data, shopping centers generate more than $2.5 trillion in retail sales annually in the United States and raise nearly $145 billion in sales tax revenue for state and local governments. In 2014, there were 12.7 million shopping center-related jobs in the country. In Texas, shopping centers generate more than $236.5 billion in retail sales annually and raise nearly $14.8 billion in sales tax revenue for the state and local municipalities. In 2014, there were 1 million shopping center-related jobs in Texas. 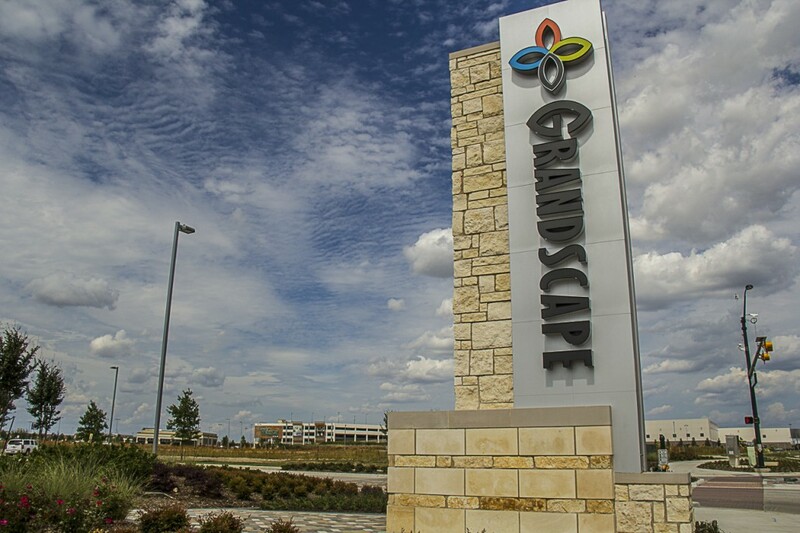 Grandscape and other retail developments generate significant sales tax revenue for The Colony. In The Colony, local sales taxes have doubled from 2010 to 2014, while the City Council has lowered the ad valorem property tax rate nine out of the past 10 years. RECon, however, is but one of the many ways in which the EDC fulfills its mission of helping to attract new jobs and generate those sales tax dollars by facilitating investment in The Colony. a contribution towards improvements on State Highway 121 and Blair Oaks Drive. Diane Baxter, Director of Communications and Tourism for the city, summed up the EDC’s role in the community best by reiterating how the outward-facing entity yields internal benefits. “Our Economic Development team travels around the country to places like RECon and other marketing events to sell The Colony as a great place to do business,” she said. “But the objective is to benefit our residents here in the city with new infrastructure improvements and retail-restaurant destinations for both residents and visitors.